Ok. Ok. So, this might seem like a weird combination. However, let me be the one to convince you that it is a mightily GREAT combination. We like both cantaloupe and avocado in our house. We like it a lot. We also love lime. Thus, I knew I had to give this a whirl to see if the flavors would meld well together. Oh man! 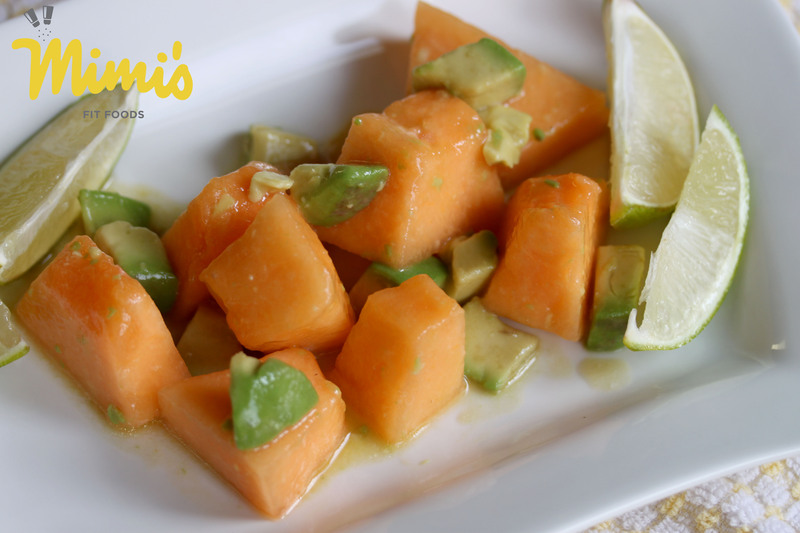 We love cantaloupe, avocado, and lime EVEN more now. This salad was screaming SUMMER and it tasted fresh, with a hint of sweetness, as well as a hint of tartness. It was a perfect side dish to our dinner. My cute little baby even GOBBLED this right up. I seriously put a good portion size on her serving tray, turned around to do something, turned back around to check on her, and it was all gone and she was begging for more. I kind of wish I could act like a baby sometimes and cry and grunt for more too . . . even when I know I’ve had way over my portion allotment. I’m SUPER glad I found this recipe and had the curiosity to try it because it’s going to make several more appearances at our lunch/dinner table (and probably others too when we are asked to bring fruit to the next BBQ) this summer. It’s not only unique, but so, so, so, SO good. In a large bowl, whisk together lime juice, Agave, oil, and salt; set aside. Cut each cantaloupe quarter in half lengthwise. Run a knife between the flesh and the sin of the melon; discard skin. Cut each wedge into 1/2-inch pieces. Cut each avocado half again length-wise and then into 1/2-inch-thick chunks. 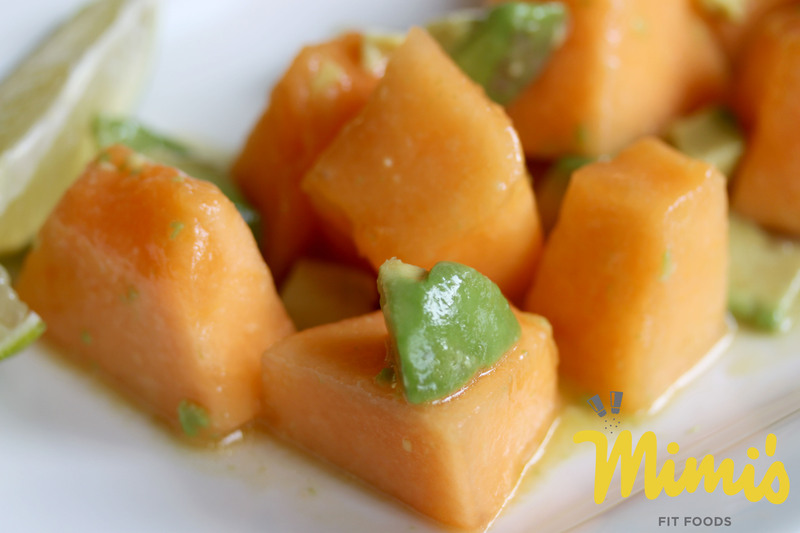 Add cantaloupe, avocado to bowl with dressing and toss to coat. Divide among 6 plates.